When it comes to kids and grandkids, there’s one thing we can all agree on: we want them to be safe and healthy. Yet scientists warn us that if we want our children and grandchildren to have a safe and healthy future, we need to do more to reduce the pollution that’s warming our planet and changing our climate. That’s why we’re so disappointed that the Trump administration decided to roll back the existing clean car standards this week. The clean car standards are the most common sense and effective national policy we have on the books to reduce the carbon pollution that contributes to climate change. If implemented, the standards would double the fuel economy and cut global warming pollution in half for vehicles sold in 2025. 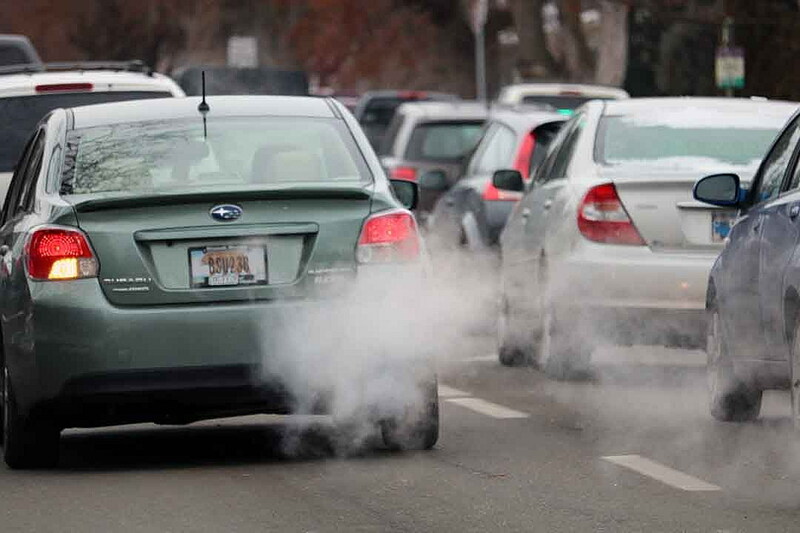 In Missoula, transportation accounts for more than a third of our global warming pollution, which means that the standards would significantly cut our carbon emissions overall. In fact, the clean car standards would have saved the equivalent of 70 coal-fired power plant emissions every year nationwide by 2030. Now, more than ever, we need national leaders who understand that a stable climate is a crucial foundation for strong and healthy communities. There’s a clear link between climate change and human health worldwide, and that connection is especially strong in Missoula, where our worsening fire season has created increasingly hazardous air quality conditions for much of the summer. A recent report found that Missoula experienced nearly 70 days of elevated particulate pollution from wildfire smoke during the relatively mild summer of 2016. Soon to be released data from 2017 is likely to be even more sobering. These dirty air days translate into increased asthma attacks and emergency room visits for Missoula families. Long-term exposure to pollution adds up over time, contributing to an increased risk in a range of health issues, including respiratory problems and cancer. These impacts are felt the strongest among vulnerable populations, including pregnant women, children, and the elderly. Rolling back America’s clean car standards will also cost families money. Montanans have already saved more than $120 million at the pump thanks to the lower existing standards. Consumer’s Union found that, if the standards were fully implemented in 2025, consumers would save $3,200 per car and $4,800 per truck over the lifetime of their vehicle. That’s what Montanans want to see — cleaner air and more affordable transportation. The auto industry has always been a leader in innovation, starting from the concept of the American assembly line. To date, automakers have met the clean car standards and by all accounts we’re preparing to meet the new ones. In fact, independent data shows that they have the technology to continue meeting the standards in the future. We need to reject this short-sighted move, reverse course immediately, and once again become a world leader on innovative solutions to the unfolding climate crisis.As parents, we expect our leaders to step on the pedal when it comes to pushing for the highest standards possible. Anything less is unacceptable. Skye Borden is director of Environment Montana, and Michelle Uberuaga is the Montana field manager for Mom’s Clean Air Force. August 10: Missoula Environmental Art Expo: Insects and Art on the Clark Fork. Join the Montana Conservation Voters and the Watershed Education Network to inspect insects, make art, and discuss conservation and sustainability in the Clark Fork Natural Area near the Orange Street Bridge. 4 – 7 p.m.
August 11: MT Renewable Energy Association’s Clean Energy Fair, Gallatin County Fairgrounds, Bozeman. 9 a.m. – 4 p.m.
August 24-25: River City Roots Festival. Volunteers needed! Help keep this annual festival in downtown Missoula clean and green. Sign up for a Green Team spot today.